Our landscapes, no matter how manicured or wild, are artificial. By artificial I mean, they are heavily influenced by we humans, not unlike the interior of your home. Some of us have rooms which are color matched perfect to patterns and furniture that's strategically placed, while others may have rooms that are more eclectic. Like our interiors, our landscapes are subject to change based upon our discretion. Few people will have their first living room couch, still, in their living room after-long. It's accepted that tastes and styles will change with interior design, and it's ok for the same to happen with the plant life in your yard. 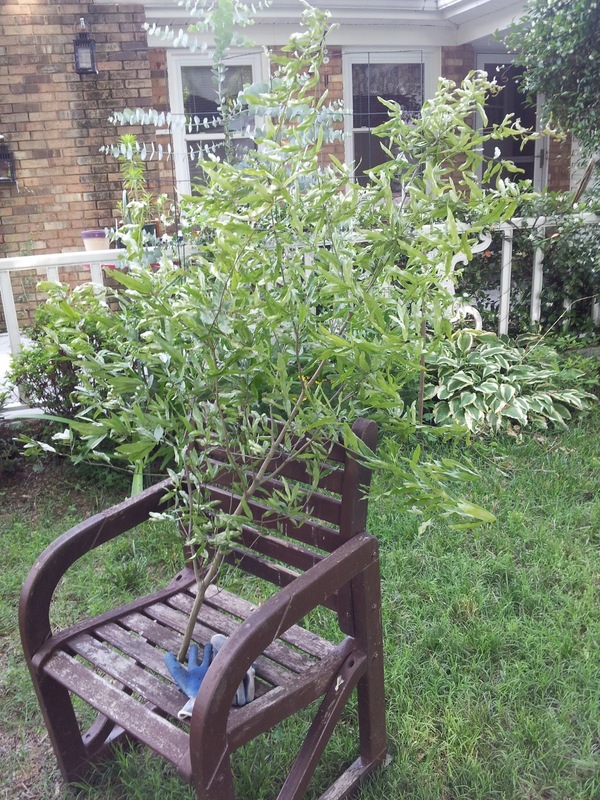 Just like you would throw out an end-table bought at the discount store when it became scratched, some plants are worth culling if you're not attached to them, or if they become a maintenance concern. Conversely, you may take great pains to restore an heirloom grandfather clock, and so you may with a centuries old oak tree. 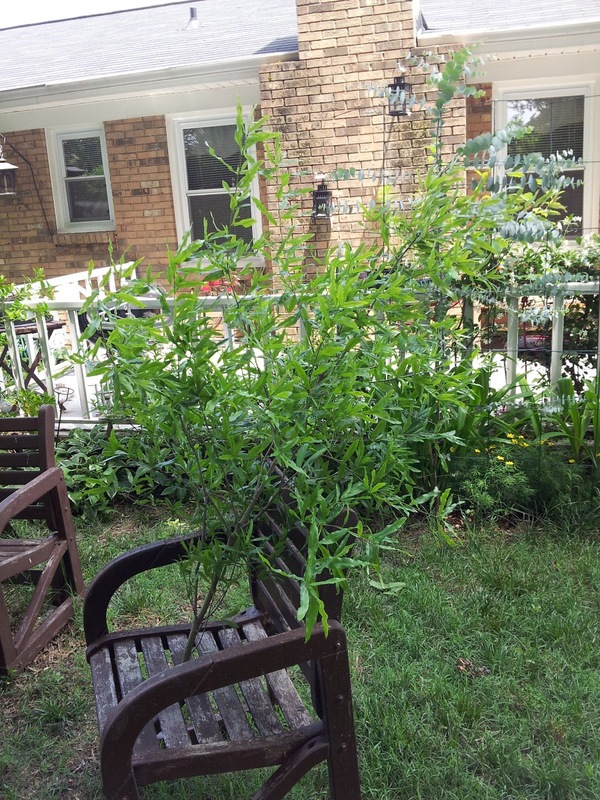 As your couch becomes older it probably won't be getting larger and encroaching upon other parts of your home, as your trees and shrubs may. Mature plant size, placement, and the intent of design (as landscape architects put it) are paramount when choosing trees and shrubs for the landscape. We all want immediate results, but immediate results in the landscape can mean high maintenance costs or whole tree/shrub removal in the future. The latter are fine, as long as you understand them from the start. While redoing a room in your home can be completed fairly easily, sometimes achieving that intent of design in the landscape can be a process. When landscapes are young, they usually look good. The plants are all small, healthy, and well spaced. Then, just like all little children, your landscape hits adolescence, and suddenly things don't look as cute and pretty. Not everything is growing at the same pace, some plants are dead, or dying, and things are generally awkward. This is where having a design intent is important, and where keeping to it can be difficult. Many people will want to take action, and maybe some action is needed. This may include replacing a few plants, doing some fertilizing, or pruning, but should not be drastic as replacing whole swaths of landscape. 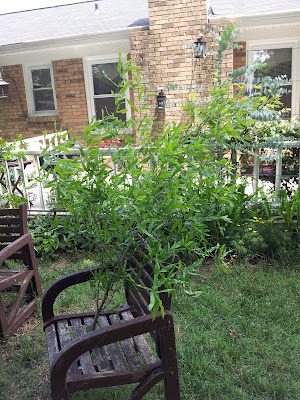 Keep in mind, many of your favorite gardens and arboreta (Longwood Gardens, Kew Royal Botanical Gardens, The Morton Arboretum, The Arnold Arboretum, etc) began with young and immature plants. Change in the landscape is good, and something I encourage my clients to do. Why nurse along an old decrepit azalea, when it can be replaced by one of the new Encore varieties. That being said, staying the course is often the best way to go, because one day that spindly name your favorite tree is going to be magnificent. Explaining how trees react to stress can be difficult. Trees may take years to react, or show signs, of past damage. Symptoms of construction activities can take up to 8 years to reveal themselves. This fact can leave many people skeptical of we arborists. 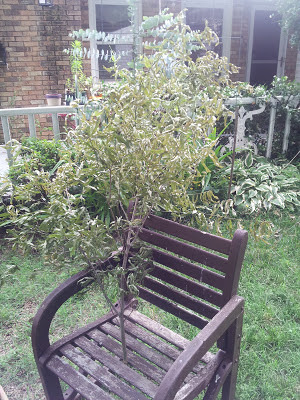 How can a seemingly healthy tree suddenly, and for no perceived good reason, start falling into decline? 0.5 hours after being cut on a warm summer day in the afternoon. The tree still looks green and healthy. About 25 hours after being cut, still green with little signs of stress. 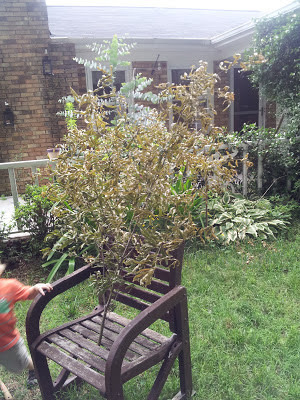 51 hours after being cut, the tree is beginning to wilt and the leaf edges are beginning to brown. 75 hours after being cut the tree is almost completely necrotic, though the twigs are still pliable. Larger trees, with less extreme but compound stresses, take time to show symptoms of damage. The tree in the above example was dead on day 1, but it took 3 days to show it. When diagnosing tree problems, a detailed knowledge of site history can be crucial when developing a tree care plan. 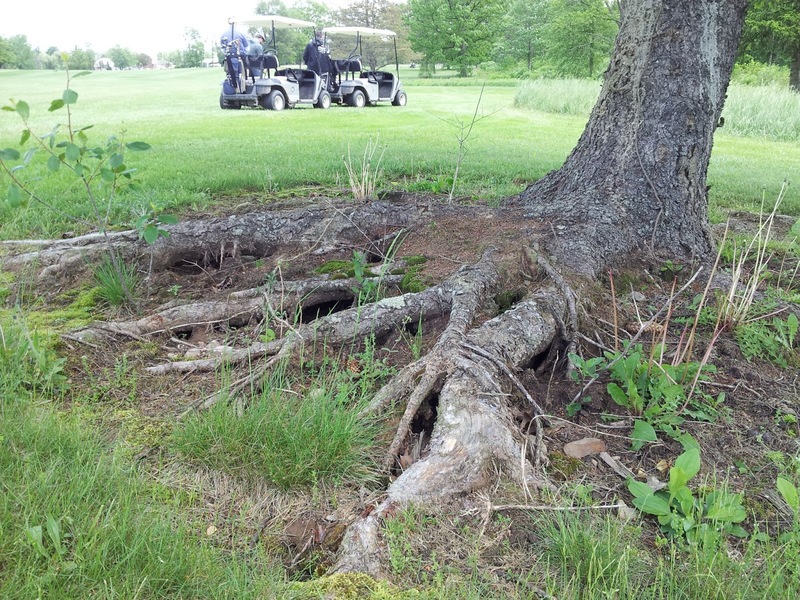 Golf course managers are good at managing grass, not trees. Somehow I ended up playing golf in Miffiin, PA a few weeks ago. Now, I'm not much of a golfer, but any excuse to be outside in one of the picturesque Central Pennsylvania valleys is a good one. By about the 3rd hole I started noticing most of the spruces where leaning in the leeward direction. They had been in this position for awhile, as self corrected leans were evident. When trees are subjected to a constant force they begin developing reaction wood. In the case of these neglected golf course spruces, structural roots on the windward side (tension side) of the trees were predominate. These trees were left to topple over, but refused to give in. 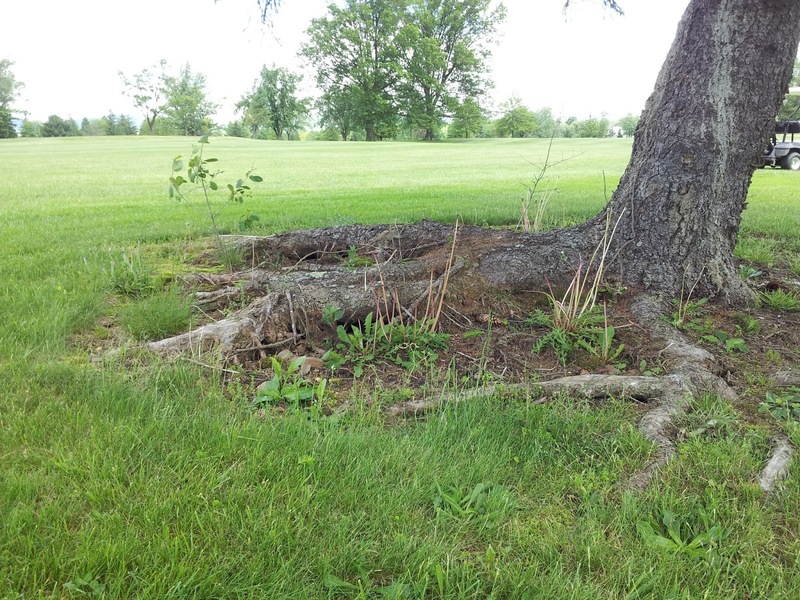 When assessing a tree's risk for failure we must take an in-depth look at the tree. 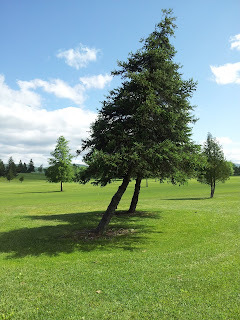 From a peripheral view, most of the spruce trees on this course looked like they were ready to fail at any moment. However, on closer inspection, self-corrected leans and adequate reaction wood were evident. This spruce has quite a lean, but look at the crown architecture. If the stem was not in the picture the tree would look perfectly up right. Reaction wood in the structural roots, compensating for the lean. 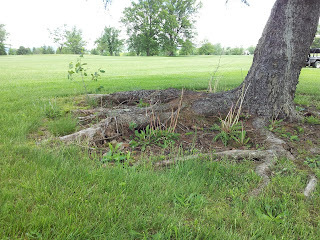 Another view of 'beefy' roots holding the tree up. Wooly in the spring time. 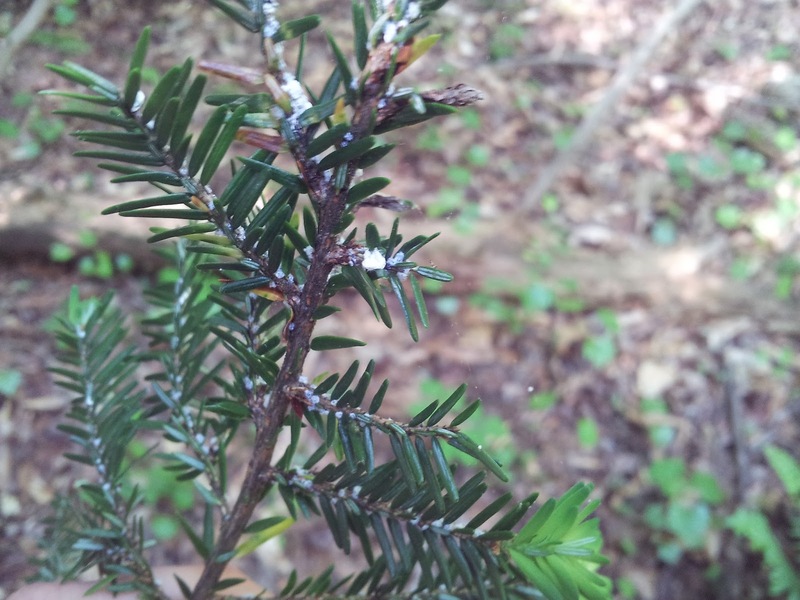 In the spring of 2004, one of my many duties was driving around south-eastern Pennsylvania spraying hemlocks for woolly adelgid. As PA passed through my rear view mirror in winter of 2007, I was relieved in the thought I'd never have to spray a tree or shrub again. Fast forward to the spring of 2011. I'm in my first season as PHC Manager of Heartwood Tree Service in Charlotte North Carolina, and once again I find myself treating hemlocks for woolly adelgid. Generally speaking, the greater Charlotte area isn't the best habitat for eastern hemlock. 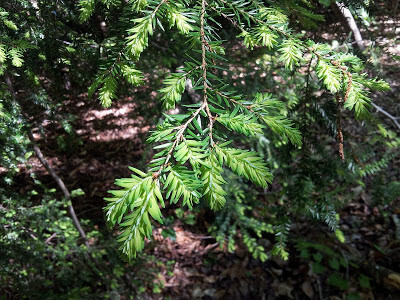 Poorly-drained clay soils combined with the intense Southern summer heat is in contrast to the well-drained organic soil and cooler weather hemlocks are found inhabiting in the wild. This specific site was just outside the city limits, on the Eastern side of what barely passes for a mountain. It was a prefect micro-climate, with blooming mountain laurels lending feel of being in the Appalachians. As I ascended the hill past the gated entrance, a small grove of semi-mature hemlocks appeared before me. The trees bore the all too familiar white fluffy signs of woolly adelgid nestled at the base of the needles. There are many options for control of woolly adelgid. Because of the number of trees and amount of area that needed to be treated, horticultural oil seemed the best option. Horticultural oil is gentler on beneficial arthropods, and breaks down fast in the environment. Soil or trunk applied systemics would've been time consuming and costly to apply. The brand of hort oil used was also OMRI certified. Treated hemlock with no adelgid. Untreated with adult insects and nymphs creating woolly covering.